The teak-built Vertue named Tom Thumb has just gone back down the slipway following a five-month refit at Stirling and Son’s yard at Devonport. The 25ft boat has a new teak deck and new interior, and has also been re-rigged. And naturally she’s looking very smart! 1950 transatlantic sailor Humphrey Barton described his Laurent Giles Vertue as ‘The most perfect small ocean going yacht that has ever been built’. 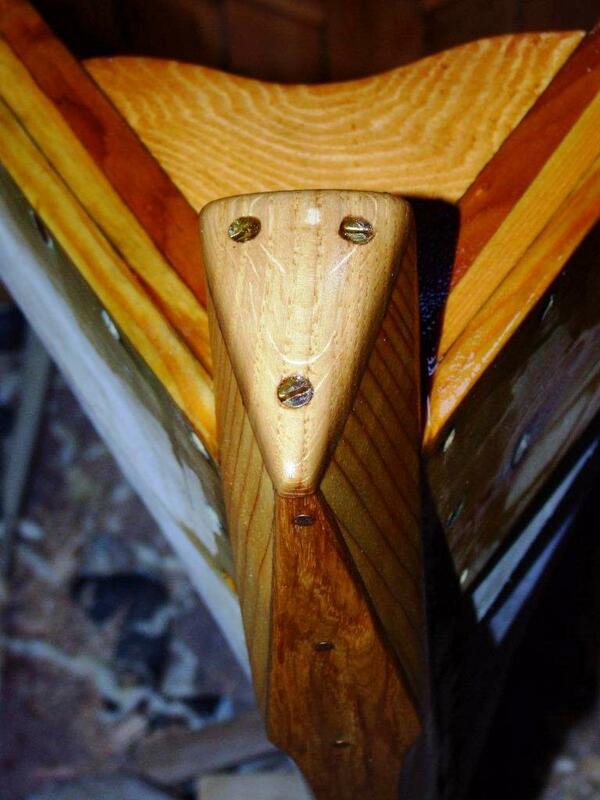 Boatbuild and writer Adrian Morgan of Viking Boats owns and sails a Vertue, and has written an affectionate and interesting piece about the design. Btw… Have you seen this? 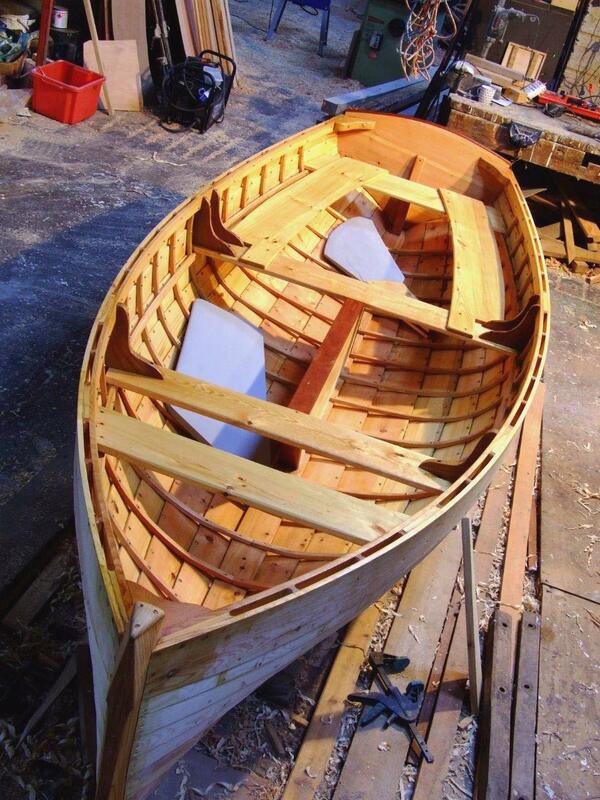 Now we’re into the amateur boat building season, a series of posts from professional boatbuilder and writer Adrian Morgan about building an Oughtred Caledonia Yawl using a kit from Jordan Boats seem particularly relevant. At the time of writing, the latest post is here – as the project progresses you’ll have to navigate his site to find earlier and later posts. ‘The garboards went on today and with luck a pair of planks tomorrow. Thoughts so far: the kit is dead accurate; you deviate at your peril. Unlike solid timber, there is little leeway and precious little edge setting. Which is as it should be. ‘The glue that we have been using, Collano Semparoc, is coming up trumps as I knew it would. No mixing, no mess, little waste and a curing time of around six hours. Bt it’s the lack of mixing I like best, plus it has a limited gap-filling ability. The proof is when it has cured to a hard, epoxy-like crust that is nothing like the Balcotan it is supposed to replace. Do not be fooled: this is nothing like Balcotan which cured to a crispy honeycomb that had no strength. Well, that seems clear then… Thanks for the tips Adrian! 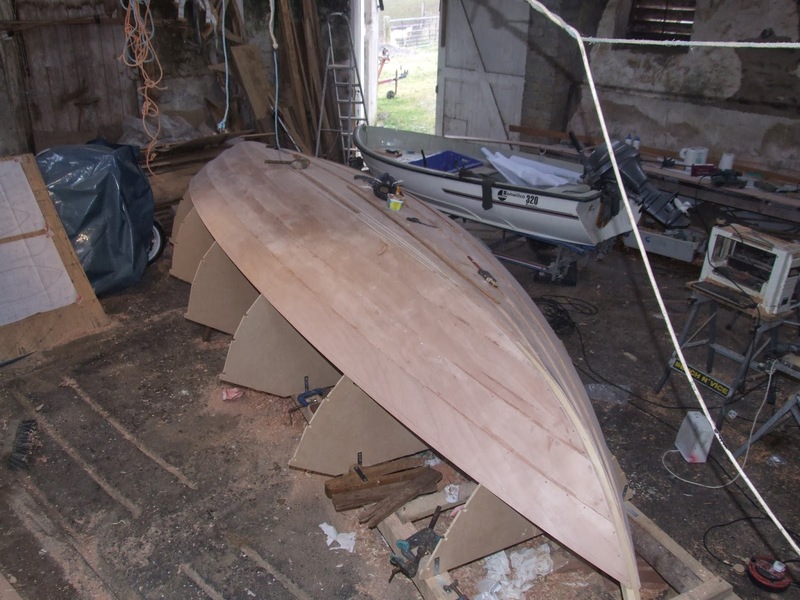 Columnist and boat builder Adrian Morgan of Viking Boats has been putting together a handsome Iain Oughtred-designed Tammie Norrie that is destined for a Highland estate. In fact, it’s one of two lug-rigged dinghies ordered for use guests and family on a huge private loch. The timber is old slow-grown Scots pine from Her Majesty the Queen’s estate at Balmoral and larch from the Oban area, with oak knees etc. He’s used larch too for the steamed timbers, as he believes it is longer lasting and more supple than oak, and also for the garboards. Read all about it on Adrian’s engaging weblog The Trouble with Old Boats.